An ergonomic inspired putter grip, fuelled by a unique contoured shape and Fingerprint Technology. The traditional Pistol profile is a popular putter grip shape that encourages proper hand positioning. The unique contoured shape promotes proper wrist alignment for a more controlled and consistent putting stroke. 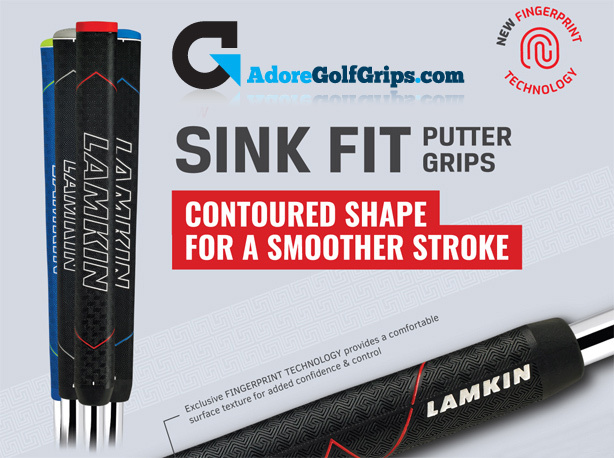 The Lamkin Sink Fit Midsize Pistol Rubber Putter Grip is 285mm in length..